6th ASEAN Universities International Conference on Islamic Finance (6th AICIF) invites academics, practitioners, scholars, researchers, policy makers of any government to present their papers in 6th AICIF. Islamic Finance has grown into a pinnacle of fact and truth in the past decades as a major solution to economic recession in South East Asia and is gaining momentum among financial Institution like Banks Insurance Company etc. worldwide. Islamic Finance as trending phenomena is the subject of international discourse and also being recognized as a subject of interest among academic institution as a separate field of discipline. Thus, the past five years witnessed the ASEAN Universities International Conference (AICIF) turning into a prestigious undertaking among various universities across the ASEAN region in alternate capacities. Over the short period of time, the assembly has solidified its representations as a compass for global Islamic finance and banking industry, building a robust platform across a wide spectrum that comprises leading bankers, institutional investor’s asset managers, policy maker’s academics and diverse stakeholders from across the ASEAN countries. 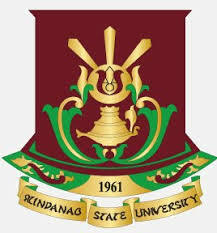 Mindanao State University as a member of International Council for Islamic Finance Educators (ICIFE) based in Malaysia will be hosting the 6th ASEAN Universities International Conference on Islamic Finance which is tentatively scheduled in November 14-15, 2018 at Manila Hotel and Heritage Hotel, both in Manila, Philippines. The Theme is “Strengthening Islamic Finance In South East Asia through Innovation, Collaboration and Research“ . The conference has twin objectives: One is to review best practices to help in developing Islamic financial ecosystem. And second is to formulate an action plan to address corresponding challenges that lie ahead. The Philippine government should consider the use of Islamic finance-backed scheme to raise funds in order to recover and rebuild Marawi City which has been severely damaged in almost five months of violent clashes between the Philippine Army and Islamic state (IS)-linked terrorist groups. Such a scheme should allow reconstruction efforts mindful of the Muslim culture and heritage of the city and would also open channels for monetary support and participation from the Middle East. Destruction in Marawi City is now substantial and a lot of buildings and large parts of the infrastructure lie in ruins. Around 400,000 civilians are believed to have been displaced. The Panelists shall present the structure of sukuk to see how it can be of benefit to the economy as a source of fund from a new diverse investor base in order to rebuild Marawi City. It presents their views on the structure of Sukuk through the creation of Special Purpose Vehicles (SPVs) which provides better transparency thereby reducing corruption and wastage as productive assets must be put to work in order to generate rental incomes for investors, rather than disappearing into offshore banking centers or participating in deliberately overpriced projects. The panelists shall also discuss some of the key practice developments towards building an efficient corporate Sukuk market that is able to drive growth and help finance infrastructure in several markets around the world. It present their views and expectations of industry through-leaders and professionals who have been assessing and addressing the practical corporate laws and investment mechanisms that affect the structuring and marketing of corporate Sukuk as an alternative project financing tool for infrastructure projects. Session 2: Financial Innovation In Application To Islamic Finance. The block chain is a revolutionary technology that the Islamic finance ecosystem could leverage to exponentially enhance business processes and streamline operations. Block chain creates the possibility of coordinating institutions’ transactional activities within a strong mechanism of trust and transparency. In addition, its usage would open the ecosystem to a raft of interesting opportunities. More importantly, Block chain is a perfect medium to incorporate and operationalize Islamic values of justice, equality, trust and fairness into finance which embodies the spirit of the Shariah. On the other hand, could the widespread automated dynamics for Islamic financial markets? These and other considerations will be important factors in determining the extent of the application of financial technology. What are the Block chain risk factors in securities offerings and fillings? The panelist shall explore the basics of block chain and financial technology and its possible applications in the Islamic Finance ecosystem. It presents their views on the characteristics and conditions of block chain which are in alignment with the principles of Islamic Finance. Since the global financial crisis, policymakers have sought to press the “reset” button to strengthen financial intermediation that is performed by conventional banks and non-bank financial institutions, the aim has been to address the fault lines that helped trigger one of the most devastating financial crises in a century, and to enable a more inclusive, stable financial system that promotes stability as well as economic development and growth. Islamic finance has an important potential to act as an engine of stability and inclusion. Since investors are required to bear losses that may arise on loans. There is therefore less leverage, and greater incentive to exercise strong risk management. These risk-sharing features also serve to help ensure the soundness of individual financial institutions and help discourage the types of lending booms and real estate bubbles that were the prosecutors of the global financial crisis. The panelists shall discuss and present the challenges to make this industry more mainstream and to allow it to grow in a safe and sound manner. The panelists shall also stress the importance of greater consistency in shariah –compliance of developing a safety nets-the protection of depositors and the provision of emergency liquidity- and frameworks that would allow Islamic Institutions that may face difficulties to be resolved in a manner that avoids undue market disruption. Ironically, the Philippines was one of the earliest countries in the region to recognize Islamic finance. More than 40 years ago, a legislative franchise was granted to Al Amanah Bank, the country’s first bank formed to cater to the banking requirements of the Muslim population in the Philippines. The said bank was eventually reorganized in 1990 as the Al-amanah Islamic Investment Bank of the Philippines. Since then, however, the government has taken no significant steps to encourage Islamic banking and finance in the country. Congress ought to enact a specific legal framework for Islamic banking and finance. Even without such a framework, however the BSP can, at this stage, already allow local banks to open Islamic windows, based on the BSP’s mandate in the General Banking Law to classify and license “Islamic banks as defined in Republic Act No. 6848. At this juncture, the BSP can initially authorize conventional banks to open Islamic windows. In fact, existing laws applicable to conventional banking and finance are not a hindrance to Islamic banking and finance. Article 1306 of the civil code of the Philippines allows freedom in contract making which would certainly allow the adoption of the terms and conditions suitable to Islamic banking and finance, with the approval of the BSP and other pertinent regulators. The panelists aims to discuss and assist decision-makers, regulators and other stakeholders to understand the level of inclusion of Islamic Finance or to what extent it can be practiced, and if changes are required, highlight the conflicting legal aspects and suggest a way forward. SSB issue arises in many contexts. These include: the governance of banks and other financial institutions, which would encompass the approval of the structure of particular products; the management of Shari’a compliant investment funds; and listing of Shari’a compliant products- the rules of exchanges, requiring the issuer of Shari’a-compliant securities, such as sukuk, to disclose the details of the Shari’a Supervisory Board which approved the securities to be listed as Shari’a- compliant. What are the underlying governance issues in Islamic finance, and how can these issues be addressed? How can the region bridge principles and implementation? What is the role of the regulator in this regard? For First time user, click on the "Registration" menu to create ConfBay Account, and proceed for conference registration by logging in the system. For existing ConfBay user, proceed Login.